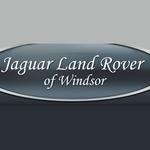 Volvo Jaguar Land Rover of Windsor is a new and used /pre-owned Jaguar and Land Rover auto dealership in Windsor ON. They offer many quality models to suit customer preferences and budget. Steve Virag is General Manager.